Welcome to my new Natural Dyeing Series. I’ve been wanting to delve into the fun world of making natural dye from plants for a while now so I’m super excited. 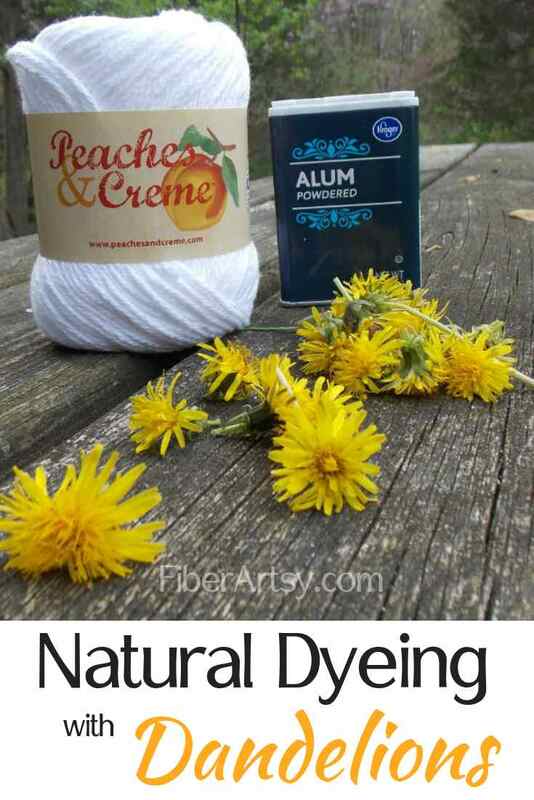 It’s actually pretty easy to make natural dye from plants such as dandelions, blueberries, sumac or lichen. All you need to know is which dyeing and mordant method works with which plant. My normal go-to dyes are Jacquard Acid Dyes so this is a whole new adventure for me. 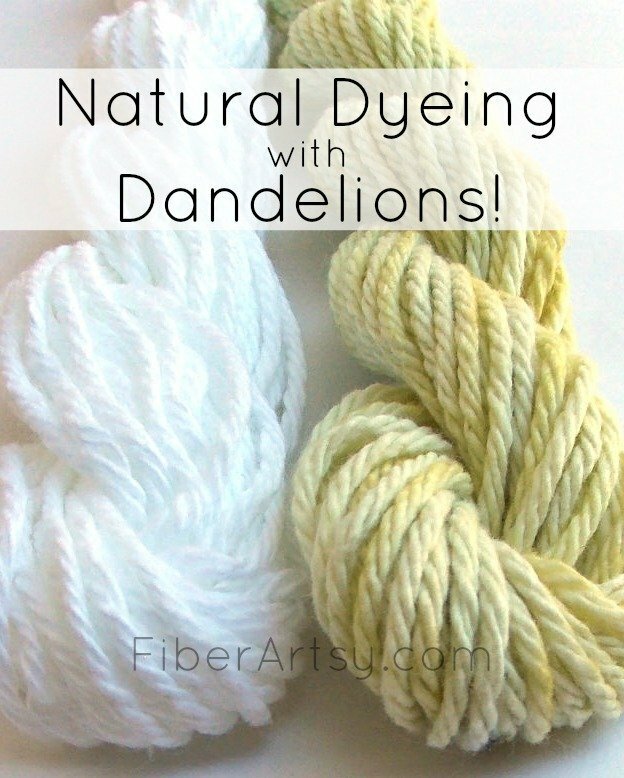 Actually, this should be the second part on natural dyeing since I already wrote a post on Dyeing Yarn with Black Walnuts so, let’s call this Part 2: Natural Dye from Plants: Dandelions. I’m hoping for a lovely yellow yarn color. I’ve also experimented with Dyeing Yarn with Black Beans. 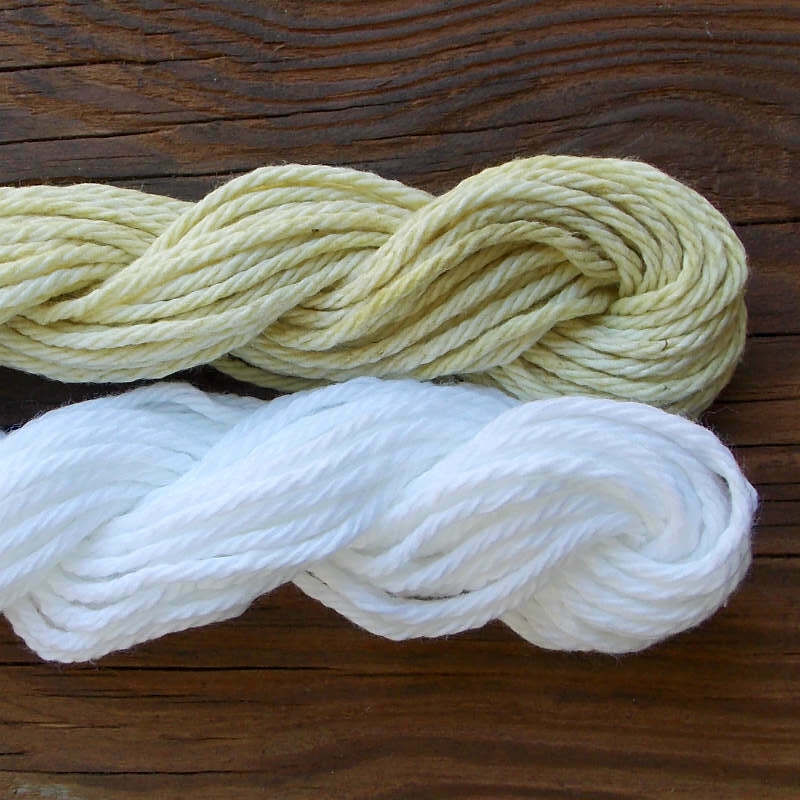 Depending on the dye method and ph, you can get blue or green yarn. Natural dyes are dyes made from plants, vegetables, insects, minerals, tree bark, mushrooms and lichens. Basically, it’s a dye derived from any natural material. If something has a color in it, chances are you can extract it as a dye. Now, don’t let the word ‘natural’ fool you, tho into thinking this is completely harmless! Sometimes it is, sometimes it’s not. Enter, the Mordant …. 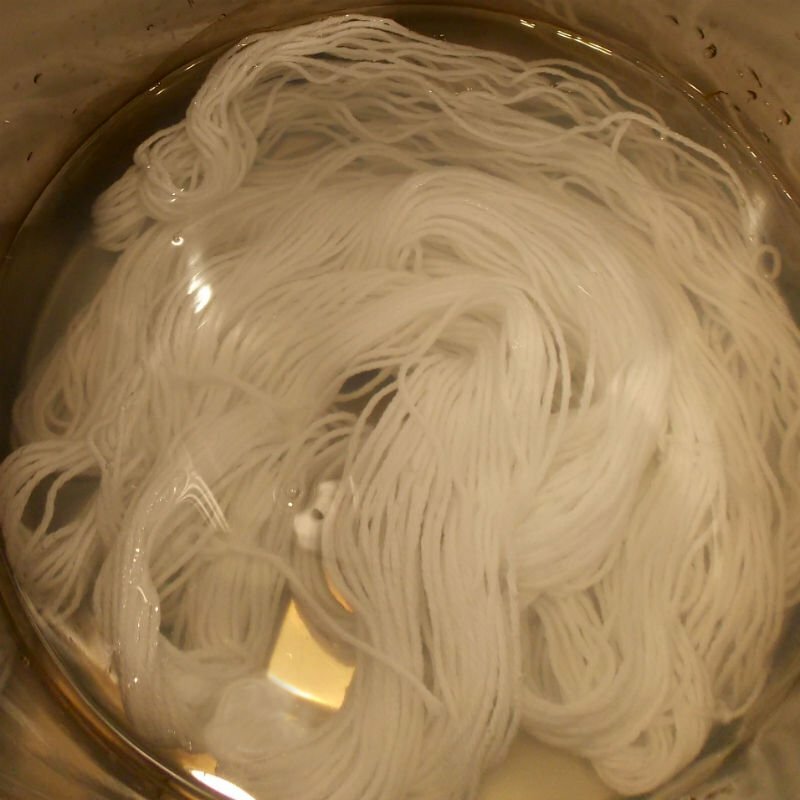 A mordant is a substance that is used to make a dye bond to the fabric or yarn. It ‘sets’ the color. The majority of natural dye materials require a mordant to set dye but there are a few exceptions such as black walnuts which are colorfast by themselves. Mordants can also be used to change the final color of your yarn or fabric and are then called ‘Modifiers’. Some common mordants include: Alum, Copper, Tin and Iron. 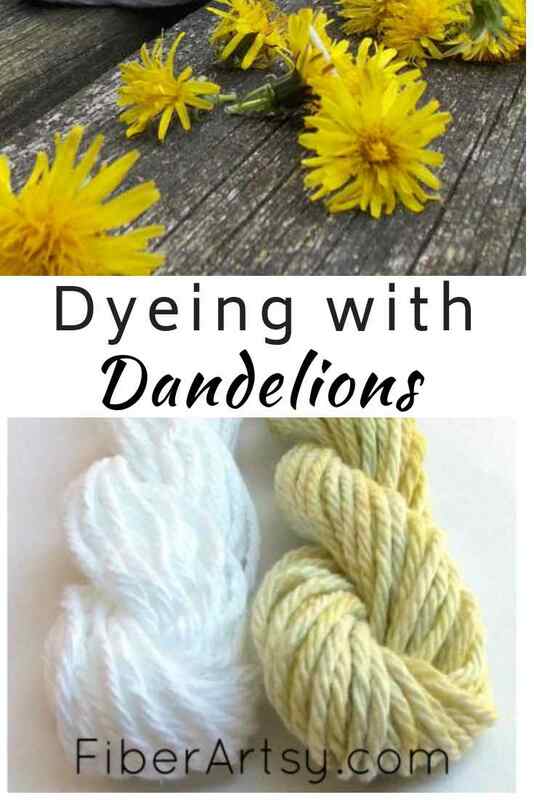 For this natural dye from dandelion plants, I used Alum which is readily available in the canning or spice section of your grocery store. *** Safety Note! Always wear a face mask when handling mordants or dye powders. Here’s a good article on various Mordants and their uses. 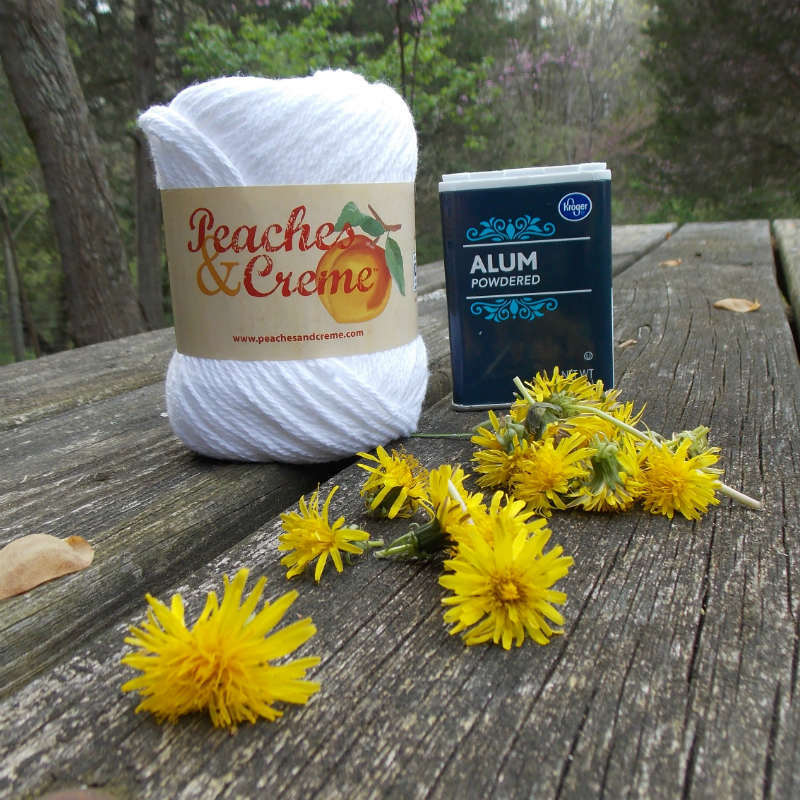 As it turns out, the only white yarn I had available was 100% Cotton. A lovely yarn but I found out later that it does not take natural dyes as well. Ultimately, I was pretty happy with the end result, but in retrospect, I would go with a protein or wool yarn such as alpaca fiber or sheep wool. How much Mordant Do I Use? Honestly, after checking a lot of sources, I’m a little confused about the amount of mordant needed per fiber. Taking them all into consideration, I came up with 8% mordant to fiber. Since I was mordanting about 2 ounces of yarn, that came to 1 teaspoon of alum mordant. This was dissolved in a cup of hot water. I put about 2 inches of warm water in my stock pot to which I added the pre-dissolved alum. I stirred and added the yarn. At this point, you want to stop stirring. Wool fiber will felt with agitation. 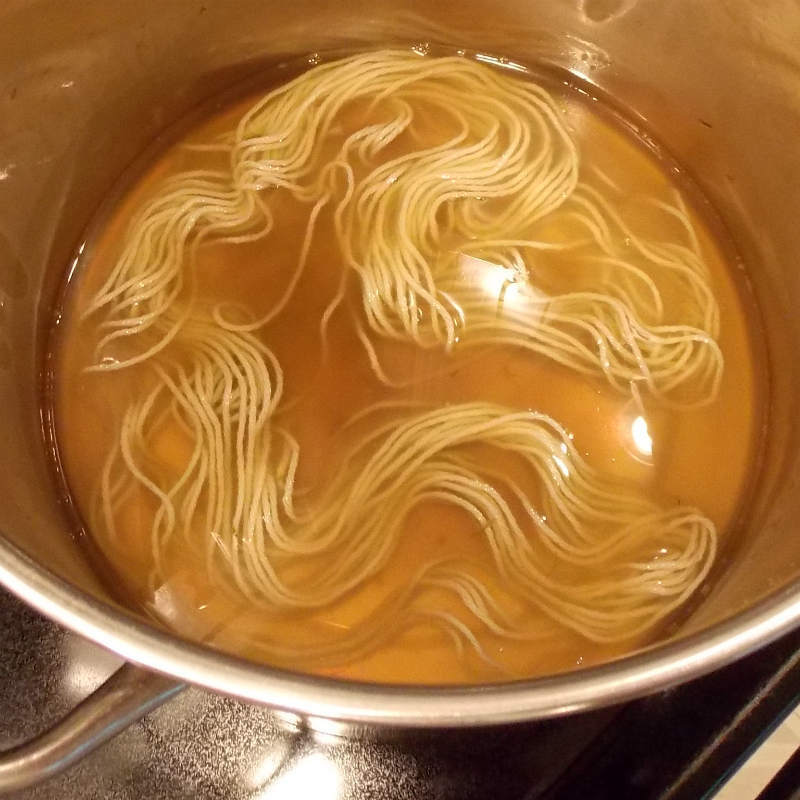 Bring your yarn to a light boil, then simmer for about 45 minutes. Turn off the heat and allow the yarn to cool to room temp. At this point, you can either let it dry for later use or immediately move to the dyeing phase. Go out and pick a ton of dandelion blooms! Ok, not a ton but lots and lots. I used 2 ounces of blooms to dye 1 ounce of yarn. The more blooms you pick, the stronger the yellow dyebath. Put the dandelions in a non-reactive cooking pot and add hot water. I used about 3 cups. Set it on the stove, bring to a boil and simmer for about 2 hours. Strain out the flower parts and reserve the dye stock. Here is where you combine it all. Add the yellow dye stock to your non reactive pot. Heat it to just a warm temp and add your yarn. Bring that to a light boil, then simmer for about an hour. Turn off the heat and let the yarn cool. When the yarn is wet, don’t agitate or move it around which can cause felting. Once cool, remove the yarn and rinse it with luke warm water. Hang to dry. The end result was a nice, soft yellow colored yarn. The remaining dye can be used for another round of yarn altho it will be a much lighter yellow hue. 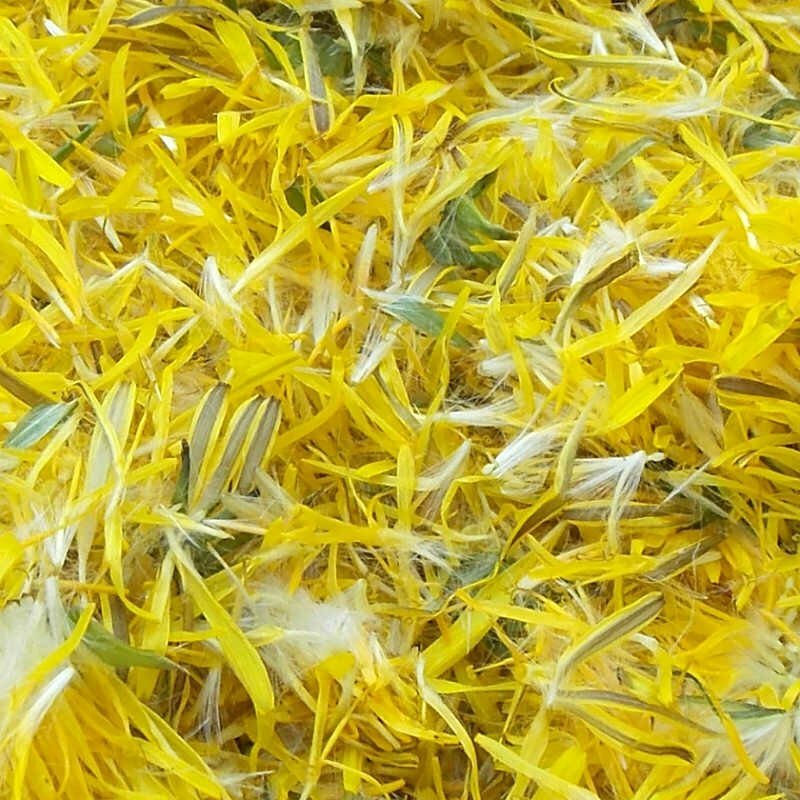 And that’s how you make natural dye from plants using dandelion blossoms. I’m cooking up my next Natural Dyeing tutorial so come back to see what it is. Here’s an interesting article on Natural Dyes from Wikipedia.